' Tara Donovan - Animator: Mouse Pilot Painting finally done! 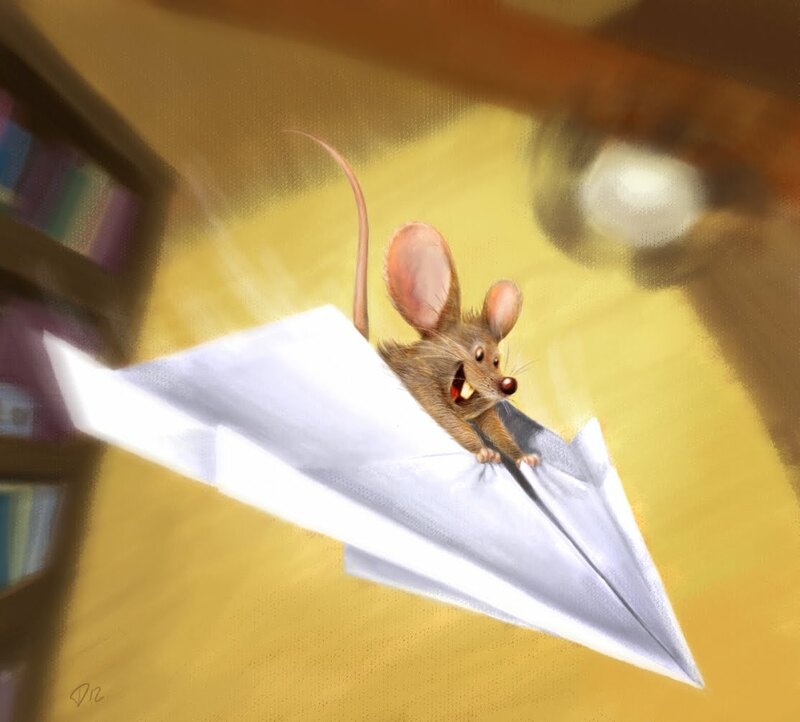 Mouse Pilot Painting finally done! A while back I took a terrifyingly informative Digital Painting course with the intimidatingly talented young Bobby Chiu at Schoolism.com. I learned all sorts of tools and tricks that made Photoshop seem much more powerful than it already did. Are you sensing my fear yet? haha.. I was eager to try out some of the techniques I learned from Bobby on a drawing of my own, but that ended up taking quite a lot longer than expected! This little 'Mouse Pilot' is a modest beginning but hopefully I'll do many more now that I've gotten the ball rolling. Here's a bit of the back story: My first line of attack is gathering reference. I always gather way more reference than I probably need, but it's enjoyable for me and I really find it useful. 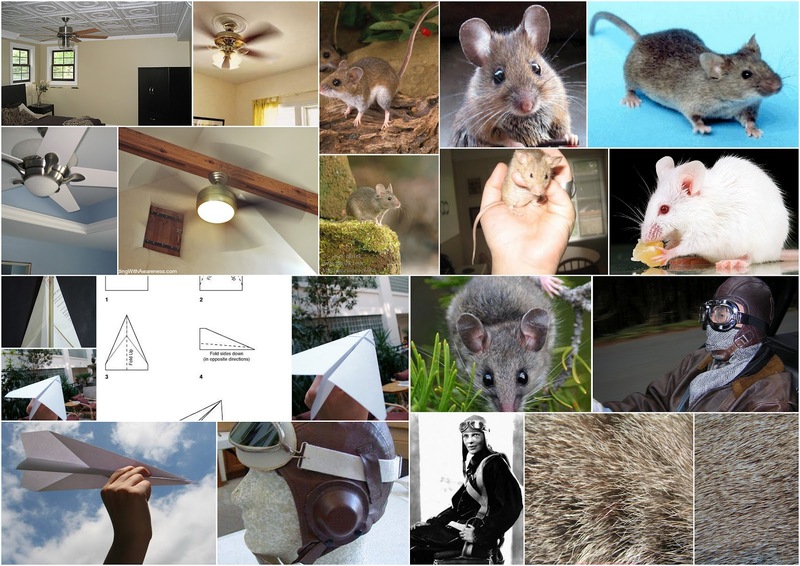 For this one I needed ceilings and fans, pilots and paper airplanes, and mice - lots and lots of mice. I especially wanted to try showing a bit of subsurface scattering on the ears. I chose a hybrid of cartoony and realistic posing and rendering. I experimented with keeping the left ear turned away as it should be and decided it looked funnier this way, even though it's technically incorrect. I started this in Brushes on my iPhone, moved the PSD to Sketchbook Pro on my PC to use the lovely drawing tools, then switched to Photoshop to paint it. Click here for the link to the progression or watch the slideshow below.